Sustainable wedding planning with eco wedding planner Laura! Who doesn’t love a fairy tale wedding? Sush groom! No one asked you anything! It could be times of recession and inflation but when it comes to weddings it can be safely said that downsizing goes right out of the window. Of late, unfortunately we also tend to not consider the impact weddings can have on the environment. Yes readers, it is true, the best kept secret at a wedding isn’t what you think it is. The best kept secret is the tremendous amounts of wastage weddings create! Tying the knot is of course not as simple as the phase suggests. Several details like the destination, photography, decor and food need to be taken care of to have the luxurious picture-perfect and hitch-free wedding. The good part is that it is possible to have an eco wedding without giving up on the opulence! 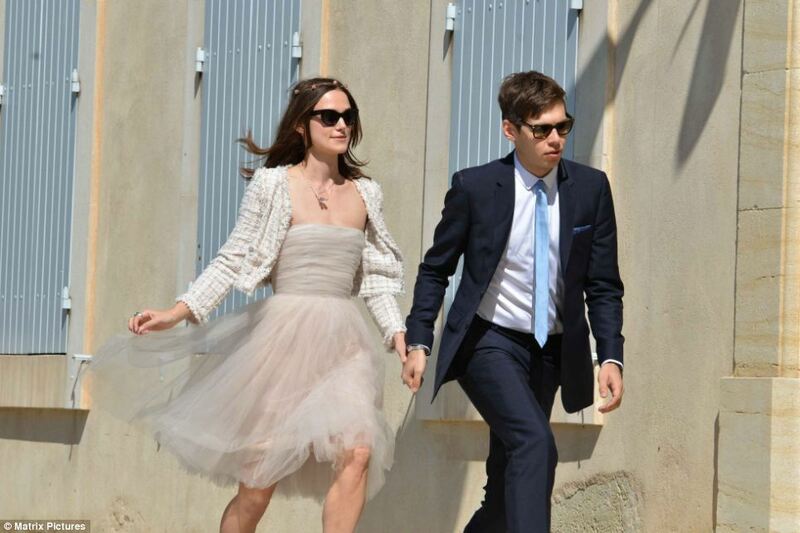 Take it from our favourite celebrities Keira Kinghtley, Anne Hathaway and Natalie Portman who have not only had eco weddings, but also worn up-cycled wedding gowns!! When it isn’t a high maintenance ordeal to have an eco-lifestyle then why would your special day be an exception? If the entirety of life can be made sustainable then so can the few days of your wedding. Keeping this goal in mind we dug deep, far and wide to bring you the best in the eco wedding business. Our guest for today’s feature is Laura who founded Verte Luxe, an exclusive brand dedicated to giving the sustainable bride a luxurious eco wedding. We talk to her as she tells us about her journey and the inception of her brand and how we can make the big day green in complete style! Q: Hi Laura! Welcome to UrbanMeisters. Please introduce yourself to our community and tell us about your motivation to live a sustainable life. Laura: Hi! Thank you! My name is Laura Frecon and I am the founder of Verte Luxe, “Luxury living for the Sustainable Bride and Beyond”. I have always been interested in living an eco-conscious and sustainable lifestyle. I grew up on an orchard in Pennsylvania so I was taught to have respect for land and the food that we eat. I majored in Environmental Biology and Theatre in college and was the head of the Environmental Division of the Student Government Board at my University. I then turned my career focus to Theatre and Costume Design and currently work as a Costume Designer in film and television. I came up with the idea for Verte Luxe when I started planning my own wedding in 2016. I was designing my wedding gown and wanted to create a sustainable and eco-conscious gown. This idea led to me up-cycling my mother’s wedding gown and veil as well as using tulle made from recycled bottles to create the gown. Once I began working on my gown, I decided to make my entire wedding as sustainable as possible. It became my focus to have an “eco-luxe” wedding. In my research, I realized that though there are a few green wedding blogs and an earth day issue in most bridal magazines, there really is not one place in particular for a bride to go when she wants to plan an eco-conscious, ethical and sustainable wedding. Hence came the idea for Verte Luxe. Q: Your motivation goes much further than living green on a daily basis, you have also decided to be a sustainable entrepreneur. Could you tell us more about your project Verte Luxe and the story behind? I created Verte Luxe out of a passion for weddings and also a passion for living a sustainable, ethical and eco-conscious lifestyle. I want our brides to realize that they do not have to sacrifice luxury when planning the eco-wedding of their dreams. Sustainable can be luxurious. Now, more than ever, we have so many resources to help a bride accomplish this: from finding ethical engagement rings, to creating the right beauty regimen, to meeting with sustainable florists and farm to table vendors, to the perfect gown, even to planning an eco-honeymoon!…Everything can be planned in a more socially conscious and sustainable way. I want my brides to know that Verte Luxe is a place where they can go and confidently find all of the resources they need when planning the wedding of their dreams. Q: Why is it important to think about how to make a wedding more eco-friendly? It is important to think about how our wedding impacts the planet and what we can do to reduce our footprint when we are planning one of the most special days of our lives. Q: What are your tips to organise a sustainable wedding? 1. Venue: Choose an outdoor wedding venue such as a farm, vineyard, orchard, botanical garden. Using the beauty of your surroundings cuts the need for excessive decorations. The use of natural lighting will reduce energy usage. 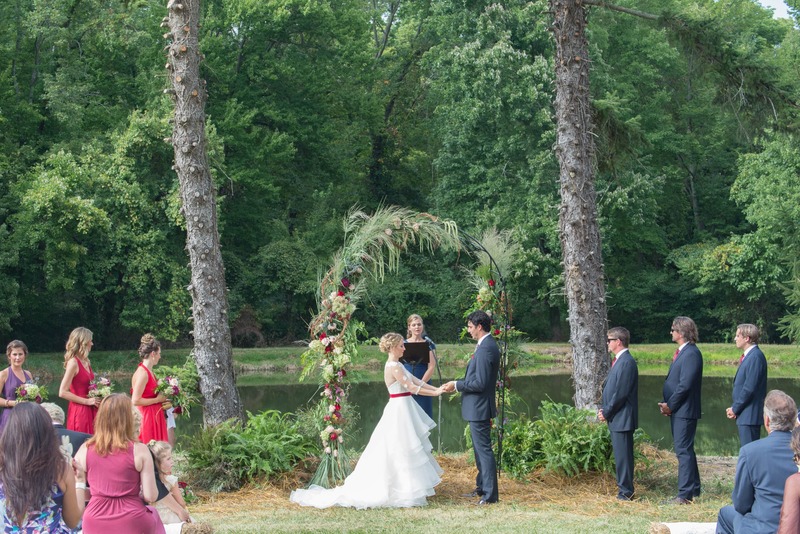 Think about having the ceremony and reception in one place to reduce travel emissions. If you are having your wedding at a resort or hotel, consider Green Certified hotels and eco-resorts. 2. Stationary: Use seed paper, cotton or bamboo invitations printed with soy ink or use invites printed on recycled paper. Go paperless for the save-the-dates and create a wedding website for directions and instructions. 3. Flowers: Always think local! Using locally grown, sustainably farmed, in-season flowers is a great way to go green for your wedding. Work with companies, like Rebloom or Repeat Roses that will pick up and re-purpose your flowers after the event to give your blooms a second life. 4. Catering: Farm-to-table is the best way to go when working with a caterer. In season, locally grown produce and humanely raised meats will cut back on your food footprint and will contribute to the local economy. Consider local vineyards and breweries to provide your drinks. 5. Dress: There are so many ways to have a sustainable wedding gown. From re-purposing a wedding dress to up-cycling vintage and dead-stock materials or looking to sites such as Once Wed or Rent the Runway, one can easily become an eco-bride using these great ways. If you do want to have your very own new gown, consider sustainable, eco-conscious and ethical designers when buying your gown. 6. Wedding Favours: Forgo the traditional favours and donate to a charity of your choice. If you do want to give a gift, consider companies such as Onehope that give back with every gift purchased. 7. Registry: We are lucky that there are eco-conscious options for almost any item on a registry such as organic linens, sustainably made artisanal goods, flatware created from recycled metals, etc. Create a unique registry for your eco-friendly needs. If you are having gifts shipped to your home, opt for no wrapping paper and as little packaging as possible. Many companies offer this as an option. Another great idea is to ask guests to contribute to a charitable donation in your name or to have your guests to contribute to a honeymoon fund. Q: Any ideas for sustainable wedding decorations? Decor: Ask your venue if it is possible to re-purpose materials from past weddings and always use the natural beauty of your surroundings as the main focus of your wedding design. Using soy candles, recycled glass votives, LED lighting, organic cotton or bamboo table linens, and finding vintage pieces in your area are great ways to create a beautiful eco-decor. Q: And how to have a sustainable wedding menu? Think Local: Hire a local caterer who specialises in locally grown, farm-to-table, organic food. If your wedding is a destination wedding, use the indigenous food of that region. Use in-season produce. Talk to the caterer to find out what is being grown and harvested during your wedding season and cater your menu to that. Find out about local breweries and wineries in the area and purchase your spirits directly from the source. Use eco-friendly, non-plastic utensils and glassware. Talk to local food banks and charities about donating any left-over food from the event. On average, only 10 percent of food is consumed during a wedding. Donating to a local food bank is a great way to give back to the community. Work with a local bakery for your cake. Lastly, doing a family style menu is much more eco-friendly than single plated meals. Q: Are there any brands that you recommend for the bride-to-be that offer sustainable bridal fashion? In addition, we will be launching Laura Frecon Bridal Couture for Verte Luxe in 2018! Q: And for the groom? We are just beginning to scratch the surface of possibilities for the Verte Luxe Groom. I would love to revisit an article for the Verte Luxe Groom at a future date. 1) Sustainable fashion has come so far in the last few years and there are wonderful brands making beautiful sustainably made dresses, purses, shoes and cocktail attire for wedding guests. I encourage every wedding guest to put thought into where their clothing is made and how they can make choices that have a positive impact. 2) Choose gifts that are thoughtful, sustainably made and ethically produced. Think about wrapping paper and excess packaging and choose an eco-friendly alternative. 3) If you are traveling for the wedding, coordinate transportation with fellow guests. Share cars or take public transportation to get to the location. 4) Look into your lodging and stay at eco-certified hotels and resorts whenever possible. UrbanMeisters If the earth is saved the marriage is saved! Pour the champagne!